You're invited to join us for our exclusive AEPG Economic & Market Outlook Seminar & Cocktail Reception on Thursday, November 3rd, 2016. 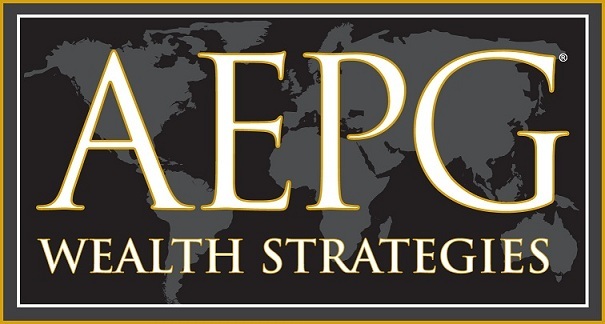 We are very excited to annouce that our founder and CEO Steven W. Kaye will be co-hosting alongside Jeffrey Kleintop, Senior Vice President & Chief Global Investment Strategist at Charles Schwab & Co., Inc., Mark Donnelly, Senior Portfolio Manager at AEPG Wealth Strategies, and will be presenting their views on the outlook for 2017. RSVP for this event by clicking the link below to register. SPACE IS LIMITED and RSVP's will be honored on a first-come, first-serve basis. If the event is closed out please contact Christine Lapidow at CLpaidow@aepg.com to be added to our wait list. This event is BY INVITATION ONLY and not available to the general public. Steven W. Kaye, CFP, CLU, ChFC, RHU, CEBS, AAMS, CRC, AIF, Chief Executive Officer and Founder at AEPG Wealth Strategies offers over 35 years of experience as a respected leader in the investment community, as well as wealth management, retirement solutions, and individual and group risk management areas. Steven is a nationally recognized thought leader in investment portfolio managements and is regularly interviewed by the financial press, trade journals, newspapers, financial magazines, and TV shows. He has appeared frequently on programs including The Morning Show, News Center 4, The Today Show, Market WRap, Fox on Money and CNBC's The Money Club. Jeffery Kleintop, Senior Vice President and Chief Global Strategist at Charles Schwab & Co, Inc. analyzes and discusses international market, trends, and events to help U.S. invstors understand their significance and financial implications. Kleintop is frequently cited in a range of national media outlets including The Wall Street Journal, The New York Times, Barron's and Financial Times, and he is a regular guest on high profile new networks including CNBC, Bloomberg, Fox Business News, PBS, and ABC News. He has been a featured or keynote speaker at dozens of industy events annually. Mark Donnelly, CFA, MSF, CFP, Senior Portfolio Manager at AEPG Wealth Strategies oversees investment and manager due diligence, supports client relationships and develops investment portfolios for prospective clients. He specializes in the research and analysis of fixed income products and alternative investments. Mark enjoys the dynamic and analytical nature of finance and investments, but his favorite aspect of the job is interacting with and advising clients. He is adept at explaining complex investment topics to people with varying levels of knowledge and providing solutions that meet their unique needs and goals. Mark is recognized as an authority in these areas, and has been quoted in the Wall Street Journal, Financial Times, Yahoo Finance.